Why I loved having a home birth -- twice! I had my two babies at home, one in 1999 and one in 2002. There are many health advantages to natural birth for most women, but I want to talk about my personal experience and why I enjoyed giving birth at home so much. I invite you to read my home birth stories and to participate in a discussion about the benefits of home birth. The photo above is my first baby on the day he was born. The yellow shirt in the foreground is my mother. Recent research about the safety of home birth! Read the article from the "Our Bodies, Ourselves" blog. These are the things I loved the most about having a home birth vs. a hospital birth. Vote for the advantage that you would consider important. I wasn't worried about whether I would get a nice nurse or a mean one. The only people I saw were my family and my midwife. I didn't have to drive anywhere while I was in hard labor. My midwife was the one on the freeway in the middle of the night, not me. This was most important with baby #1, because my labor was really intense. I didn't have to worry about whether I was disturbing any other patients. I could make noise if I felt like it. I didn't have to leave my first child to give birth to my second one. JG was there the whole time (although not always in the very same room). When the big moment came and his brother was born, he was right there watching, resting his head on his father. I ate a peanut butter sandwich during labor. An act that would be a major insurrection in many hospitals. It was OK that I had a stop-and-start labor. That was with baby #2. It took a long time before I figured out the best way to keep the contractions coming consistent and strong. In the hospital, I would have been given drugs to speed up the labor and I might have been threatened with a C-section. 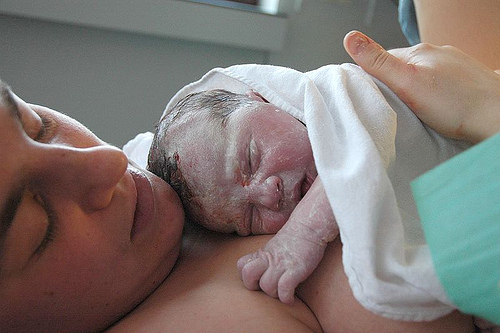 This is your space to tell us your favorite things about having a home birth. Go! And if you have a home birth story online, feel free to share the link (but only if it's your own personal story). On Tuesday night, (I was 4 days past my due date), I started having light contractions. They were coming every 5-7 minutes and were almost a minute long, but they didn't feel like they were really going to bring my baby. I stayed up for a while and observed the contractions and then went to sleep. I awoke Wednesday morning with basically the same contractions, along with some bloody show. Seeing the bloody show was encouraging, but the contractions still felt like a picnic. I called my mother and my friend, and my husband stayed home from work. Wednesday was a beautiful day. I walked around and socialized with my loved ones while they cleaned my house :-) . I took a brief trip into the backyard. While I was out there enjoying the sun, the nearby church bells started playing "In The Garden." It was a lovely moment. I called my midwife and told her what was going, and promised to let her know when things took a more serious turn. At about 6:00 p.m., the contractions started feeling a little stronger. I still didn't take them too seriously because I could still talk through them if I wanted to. My midwife called and I updated her. At about 9:00 p.m., I told my mom and my friend that they could go home; we all figured that the baby was probably going to be born the next day. I went to bed. By 10:00 p.m., the contractions were strong enough that I didn't want to be in bed any more and by 10:30 they had gotten really hard. I let my husband go on sleeping (I figured he would need his energy for later when things were really cooking) and drew myself a hot bath. I have always believed that a woman's body will tell her what to do during labor. I've never believed in learning breathing techniques out of a book. My birth confirmed my beliefs. Much to my surprise, I did find myself doing breathing "patterns", but the patterns were different from any that I had ever seen before or read about. And they changed from one contraction to the next. I just noticed how different ways of moving my breath affected my sensation of pain. My body told me what to do, and it didn't come out of a book. I got out of the tub, walked around, got back in the tub, got out again, sat on the toilet, laid down, walked some more. The contractions were feeling ferocious. I got nervous. "If this is just the beginning of labor, how will I ever handle the end? ", I thought. 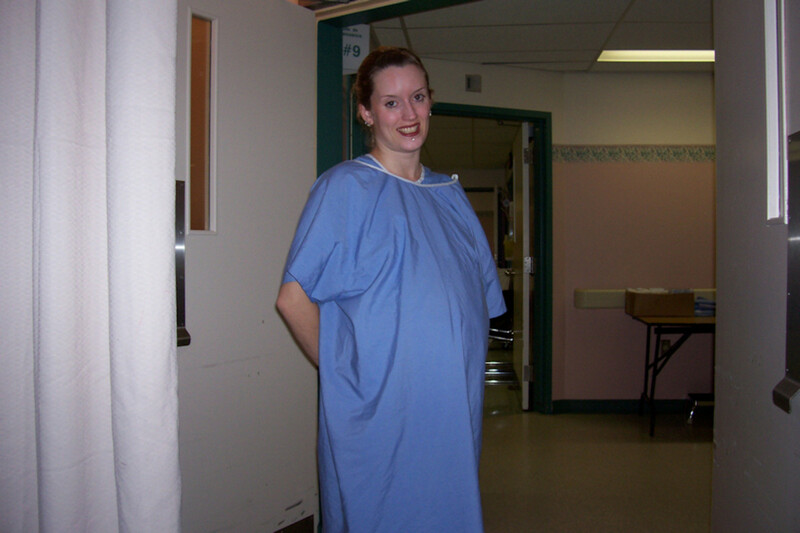 In between the contractions I felt pretty good, but during the contractions I felt like I was falling apart. I wanted to handle as much of the labor by myself as I could. But at about 2:30, I felt like I needed more help. I called my midwife and asked her to come. While I waited for her I walked back and forth in the living room. Once again, the position that I used during the contractions was one that I had never seen in any book or class. I stood with my knees bent, braced my hands on my knees and swayed my pelvis back and forth in a semi-circle. I prayed that I was making some progress in my labor. I felt that if I was at least 3 centimeters dilated or so, then I could feel like something was happening, and I would just have faith that as labor progressed, my mind would stretch along with my body and I would be able to handle the increasing intensity. If I wasn't that far along yet, the Lord was really going to have to help me get my head straight to be able to cope with the labor. The midwife arrived at 4:20 a.m. and my husband helped her bring in her stuff. When she checked my vital signs, she said that my pulse was nice and low, so I was obviously relaxing well (really? I am?). Then she did a vaginal exam and told me that I was 8 to 9 centimeters dilated! I couldn't believe it! All that time that I had thought I was handling things so badly, when really I was doing great. That was the BIG lesson I learned from my birth: to have more faith and not be so self-critical. My husband hurriedly called my Mom and told to her to come. I felt a surge of confidence. Two contractions later my water broke. After that I felt an enormous pressure in my bottom and started pushing with a huge roar. I didn't feel steady enough to squat (I was in the den, and my hubby and the midwife were in the bedroom setting up for the birth, so I didn't have anybody to support me), so I got on my hands and knees. With the next contraction I knew that I was not going to be pushing for hours, the head was going to come out NOW. Sure enough, it did. My husband and midwife came racing in from the bedroom, and the midwife caught JG just in time. JG was born at 4:43 a.m. He was 22 1/8 inches long and weighed 7 lbs. 5 oz. He was a bit stunned by his rapid passage, but we rubbed him a little and he came around just fine. My mother walked into the house and saw her firstborn grandchild nursing contentedly at my breast. With the head coming out so fast, I did tear a little, but nothing like the episiotomy I might have gotten in a hospital. 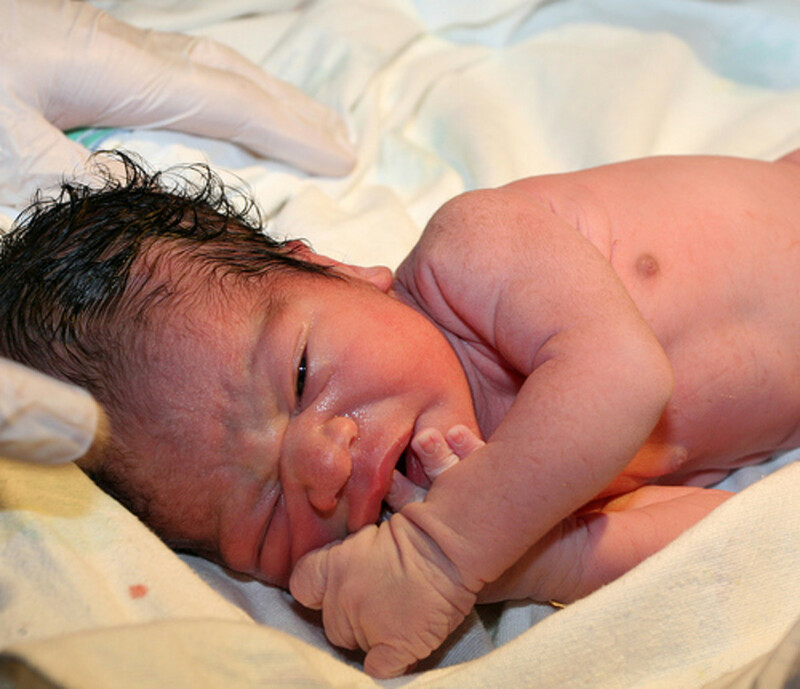 Giving birth was an awesome experience for me, the first day of an incredible journey. I started having light contractions Sunday morning, the 14th. I went ahead with my usual Sunday routine, which is playing the organ at church. I kept a piece of paper at my side on which I would write down the time of each contraction. They were ranging from 5 to 15 minutes apart. After the choir sang, I went to an upstairs room and rested until the service was over. We got home and I just hung out. The contractions were very different from the last time. Along with the "normal" pain of the contractions, I would get a strong, almost burning pain in a straight line across the bottom of my abdomen. I don't know if my uterus was pressing against my pubic bone or what. They still weren't in a regular pattern. By evening time, my husband was suggesting that I call my midwife. He didn't want me to wait until the last minute like I did when JG was born. I called my midwife's house, and her husband answered. Without telling him the reason for my call, I asked if Ma'at was there. "She's not here right now," he said, "she went to see Lauryn Hill." "I'm interrupting Lauryn Hill!" I whined to my husband as I called Ma'at's cell phone. I quickly told her that I was having contractions, but they weren't serious. She stayed through the end of the concert and then called me again afterward. No change. In the morning, she came over. My mom came, too. She was determined not to miss another birth. We took walks. We sat around and talked. I ate a peanut butter sandwich and thought about all the women giving birth in hospitals who would give anything to be able to do something as simple as eating a peanut butter sandwich during labor. The contractions never got into a regular pattern. When I walked and got active they would get more frequent, but as soon as I sat down to rest they would go away. Finally, I found that when I sat down and leaned forward, the pressure against my abdomen would both bring on the contractions and ease that lower abdominal pain. I sat that way for a while and then progressed to a position I have never seen any other woman use in labor before: I laid down on our soft sofa on my stomach. It felt wonderful. The contractions got much longer, much stronger, and much closer together, but they hurt much less. I was so relaxed that everybody thought I was asleep, but I was fully aware. My mother asked Ma'at, "Is it OK for her to lay like that?" Ma'at said, "Yes, as long as she's comfortable." I didn't tell them I was awake because I didn't feel like being bothered. I was fine on my own. In that position, I could also feel my baby's movements distinctly, so I knew he was doing well. I laid there, feeling each contraction like a huge powerful wave moving through my whole body, feeling my baby move lower with each one. It was an awesome experience. If I could make a wish and be back there, I would. I got up and walked a little in between, and then went back to the sofa to continue the labor. After a while, Ma'at came in the room and asked my husband how I was doing. "I think she's progressing," my husband said, "her breathing is getting heavier." He was right. Pretty soon, I reached the point where no matter what my position, it was difficult to cope with the contractions. I had huge rectal pressure. I knew the baby would come soon. I got up and took a shower. When I was standing up, the burning lower abdominal pain returned. It was awful! I stayed in the shower a little while and then had a pushing contraction. I started roaring and pushing in the shower. The got me out of the shower and where did I head next? The toilet! I had another contraction on the toilet and started to push there. They got me off the toilet (BT is grateful for that, I'm sure) and into the living room. I assumed a "proper" birthing position. Hubby sat on the living room couch, with JG sitting beside him, leaning against him. I sat on his knees, using him as a human birth stool. I waited and waited for another contraction. Sitting upright, all I got was one half-hearted one. If I wanted to get this pregnancy over with, I would have to take action. I leaned forward so that my belly pressed against my thighs. I immediately got a huge contraction. I squatted down to the floor, resting my arms on Hubby's knees. The head started crowning. Ma'at: OK, just breathe now and don't push. Ma'at: I don't want you to tear. Me: I don't care if I rip from stem to stern; I want this to be over! I pushed with all my might and BT came out. It was 9:34 pm. My mother said he shot out like a bullet. I held him to me while we discussed names. JG was thrilled to have a baby brother; he walked around the room exulting. I didn't need any stitches, thank goodness! I settled in with my gorgeous newborn and got some well-earned rest. I think BT's birth is the one that might have gotten the most screwed up if I'd had the wrong kind of birth attendants. When the contractions refused to get regular, the standard response would have been Pitocin augmentation, which would have increased my pain and also runs the risk of stressing out the baby. And if the Pitocin hadn't worked the next step might have been a C-section. I'm so glad I birthed at home! If YOU are a home birth mom or dad - Tell us about it! I had most of my children at home. Four of them were born without the attendance of a doctor or a midwife. I "pitched" the baby and my ex-husband "caught" it. 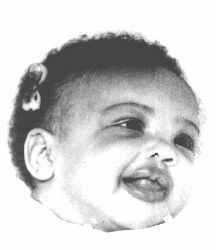 I loved my home births, and have attended several. Two of them, I was asked to attend, after the women were in labor for a few hours. I had the privilege of being at the home births of several of my grandchildren, and taught a class in high school once, on home birth. Mine were wonderful, and all of us happy and healthy afterwards! I've had two homebirths, I've also had hospital births. Homebirth is by far the most amazing birthing experience. I am so grateful I had these experiences and would do it all over again. I just had a home birth in November and wrote a lens about it: http://www.squidoo.com/i_chose_home_birth. just to let you know, I've made a lens of my home birth. I am a home birth grandma! Was there for 4 of my born-at-home grandchildren and it was a wondrous and beautiful thing. I'm an RN and thought I wanted to be a midwife so I went around with the local midwife and my teenage daughter (who definitely wanted to be a midwife). I decided I was too medical to handle the pressures when things didn't go well so changed my mind about becoming a midwife, but loved attending my daughter's homebirths X4. Now she will be homebirthing TWINS this summer! I had a homebirth! I must share my story on Squidoo... I'll add it to my to-do list! @Senora M: Congratulations! Best wishes to you in your upcoming birth! I envy you. I had problems, so they said that it was a good thing I was in the hospital, but who knows if I would have had them at home. But I don't know if I would have been brave enough or certainly not the second time. My older daughter got to watch. She was 8 years old. It left a wonderful, lasting impression of the birth of her baby sister. I think it has made them especially close.